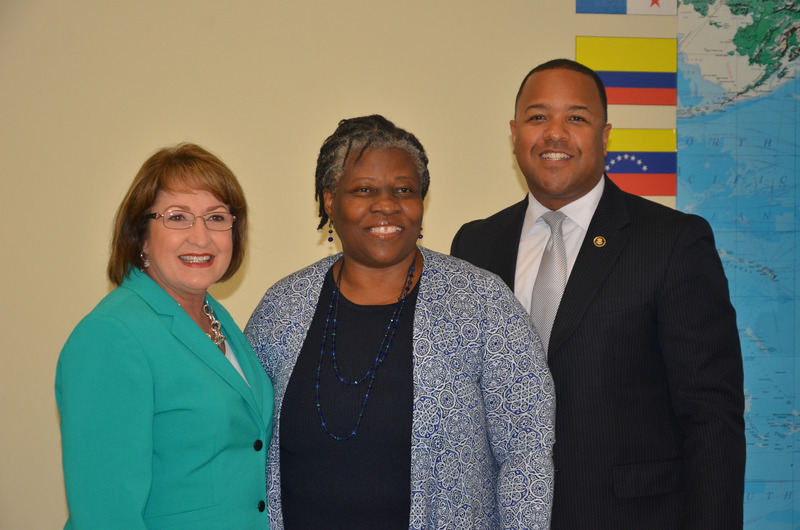 Mayor Teresa Jacobs and Orange County’s Office of Economic Development recently joined the Black Business Investment Fund (BBIF) Florida Business Opportunity Symposium Series event, which focused on loan opportunities for underserved small businesses. The event connected BBIF and representatives from the Small Business Administration with executives, entrepreneurs, procurement officers, and small business owners in Orange County. The County has had a strong relationship with BBIF for 25 years. At the event, Mayor Jacobs introduced the event’s featured speaker Cassius Butts, Regional Administrator for the U.S. Small Business Administration (SBA). Butts was appointed by President Barack Obama in 2011 and is responsible for the delivery of SBA programs in Alabama, Florida, Georgia, Kentucky, Mississippi, North Carolina, South Carolina and Tennessee. Nearly $8 billion in SBA-backed loans were given to small businesses within those eight states. Orange County remains committed to supporting minority entrepreneurs through BBIF. In 2013, the Board of County Commissioners allocated $135,724 to BBIF, a Community Development Financial Institution and non-traditional lenders that specializes in providing loans to black, minority, and underserved small businesses. BBIF administers five loan programs including the Black Business Loan Fund, the Economic Gardening Loan Fund, the Micro Loan Fund, the Contract Financing Loan Fund and the Small Business Loan Fund. Loan applications and qualifying criteria for each of the loan funds are available on the BBIF website at www.BBIF.com. A collection of photos from the symposium are available for use by the media and are located on Flickr.